Five major parks in the community provide a setting for leisure and sports for all ages. Kinsmen Park is equipped with shale ball diamonds to accommodate baseball, fastball, and slo-pitch teams. Three of the parks feature playground equipment and picnic sites. 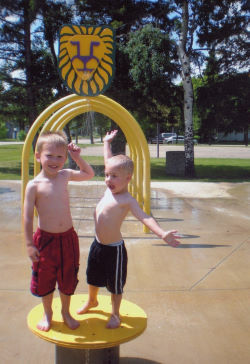 In 2004 the Lions Park was transformed from a paddling pool into a spray park. The park features various apparatus for great water fun and is open daily in the summer at no charge.